this is one of the most awaited and important news this year. After dozens of technical tests, aging tests, laboratory developement and "real-life" tests on various surfaces we can present the totally new Q² CanCoat. After some past, technical issues with our cans, new Q2 CanCoat comes in a new, even better formula version! - as a coating for exterior trim. For all of you, who bought a faulty can from a previous batch, we prepared a special offer. YOU are important to us and we'll do our best, to keep you satisfied with the product. We put more effort then ever to make things work outstandingly well. Excellent news and well done in overcoming all the issues you faced with the last 2 cans, I'm looking forward to having this back as it was very popular. How do I go about getting the replacement `special offer` ? Last edited by DIESEL DAVE; 08-10-2014 at 01:57 PM. 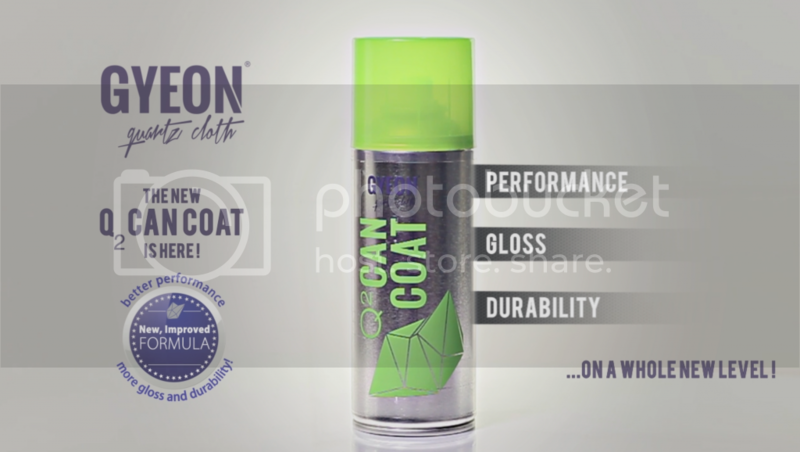 New formulation Q2 CanCoat now in stock guys! What means "more durability and gloss". How can we measure it? Last edited by sm81; 08-10-2014 at 08:05 PM. - more gloss - that's as hard as saying what has more gloss on a BMW 475 coded paint - Zymol Glasur on a HD-Cleanse prepared surface or SV Concorso on, let's say, Auto Finesse Rejuvenate. The more paints and combinations you'll try, the easier you'll notice the difference. Still not an obvious thing, i'm the last to judge in this matter, but i think, that we'll get some user-feedback soon on that matter. - more concentrated formula means, that you'll find more SiO2 and other valuable ingredients inside of the can. It does not say, that you'll to twice as many cars out of one can - that's not the point. It will last longer, you'll get more protection and more durability out of the same amount product. - is it economical? Depends. If you compare it to a large container of Collinite's bestseller No. 476 - no, it's way more expensive. If you compare it to a basic SiO2 coating in a 30ml package - it's a bargain!